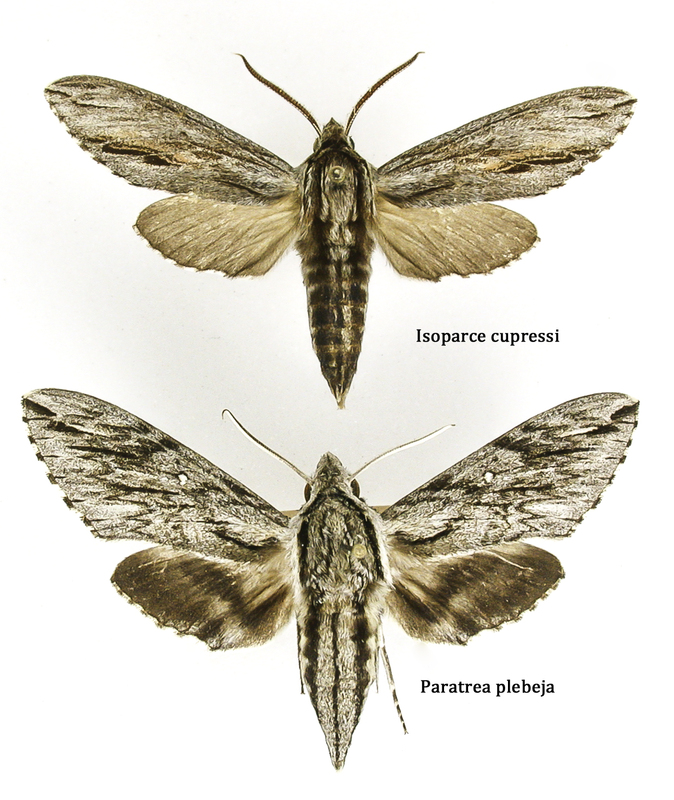 Comparison of Isoparce cupressi with Paratrea plebeja. JB Sullivan. Comments: For many years a single species occupied the genus but a second Mexican species has now been described. Species Status: Barcodes indicate that Isoparce cupressi is a single, well-defined species in our area. Adult Markings: Isoparce is one of our smaller sphinx moths, with warm brown tones and fine streaking. Unlikely to be confused with any species other than Paratrea plebeja with which it is often captured. Sexes similar but females considerably larger. Larvae of all instars were well described and illustrated by Dominick (1973) and also illustrated by Wagner (2005). Immatures and Development: The larvae are typically dark green, with a distinctive dark mid-dorsal strip and white subdorsal, lateral, and subspiracular streaks. 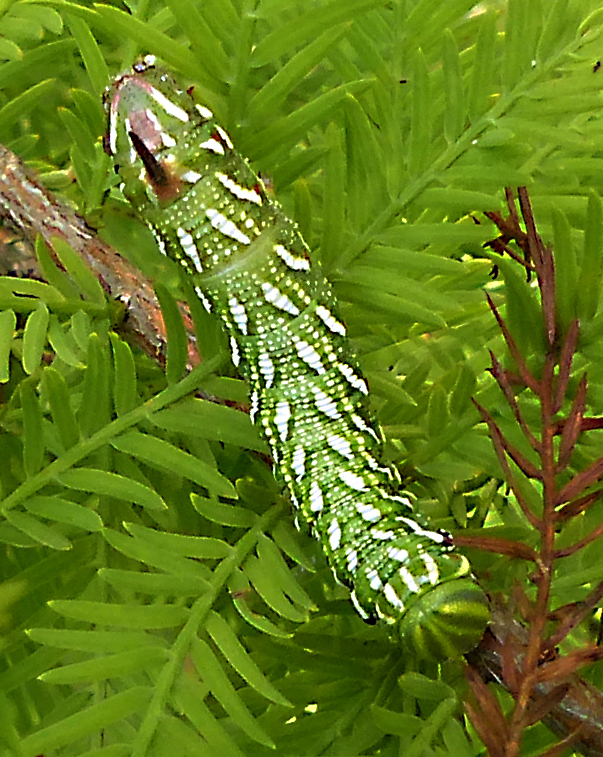 Like other cypess-feeding lepidoptera, cupressi appears to have become adapted for pupating up on the tree rather than burrowing into the ground like virtually all of our other Sphingid species. 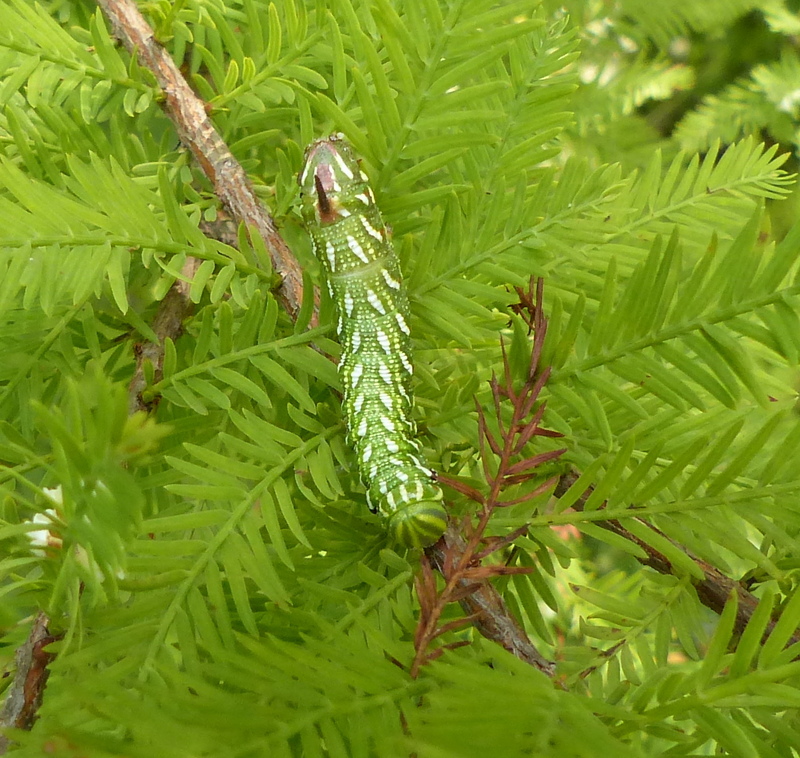 Richard Dominick found two pupae under loose cypress bark (cited by Hodges, 1971) and later demonstrated that pre-pupal larvae would burrow into patches of moss on cypress trunks to pupate (Dominick, 1973). Habitats: Cypress swamps. Not recorded in Carolina Bays or other Cypress Savannas where only Pond Cypress occurs. Larval Host Plants: Monophagous. So far only observed in association with bald cypress. Observation Methods: Adults have a shortened tongue and likely do not visit flowers; no records of such behavior known. They come to 15 watt blacklights in small numbers with up 3 individuals collected in a single trap. No records from bait traps. The larvae like so many evergreen feeding species is perfectly camouflaged and often feed low enough to be collected while beating branches. 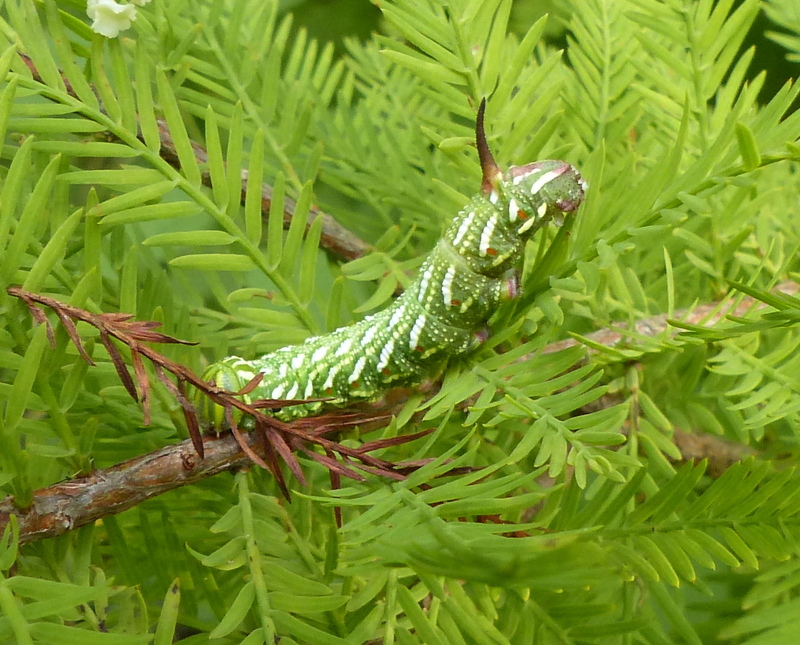 Larvae are easy to rear if given fresh cypress foliage. Comments: Long thought to be a very rare species, elucidation of the life history has shown it to be a habitat specialist and investigators were simply looking in the wrong places. Adults rarely occur outside swamps which may indicate that populations will decrease as swamps are drained and fragmented.